Artistic collaborators Ariel Burke and Jessica Jobaris have been working together since 2012. From 2014-2017 they collaborated under Jessica's dance-theatre company General Magic. They ventured to create collaboration duo (R | J | B | J ) exploring their affinity for tiny disasters and "the unknowns/wtf's" they encounter on the daily. 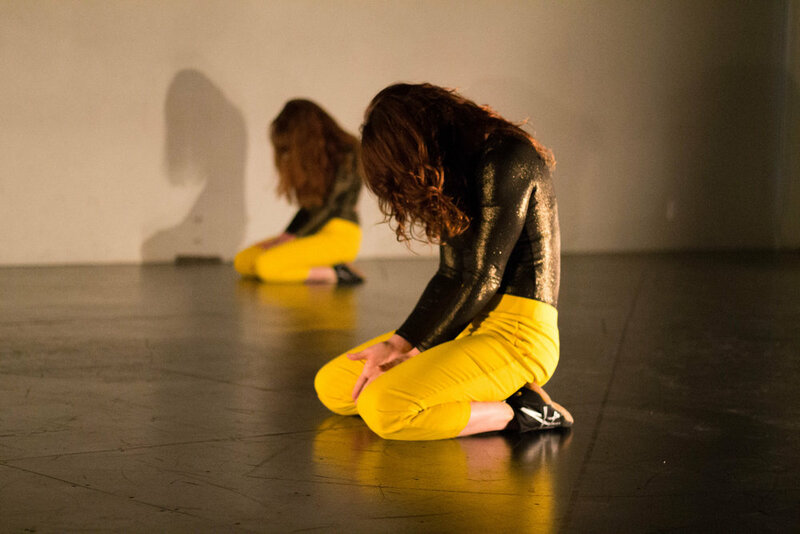 Their research examines what we think we know, and what we know we do not know, entering the affect and effect of uncertainty for their audiences and for themselves as performers. We will be using this 10º residency for further research and development of our work-in-progress duet (Untitled). We're asking "when is the moment open to duration and when is it defined by time?" We navigate roles of conscious/unconscious female identity, disaster preparedness or lack thereof, through rhythmic unison choreography, incessant counting, and amplifying confusion using the techniques of Dada, buffoonery, and attempted telepathy. Separated by parallel universes, we can sense one another, but we cannot connect. Or can we?